Brandy Carlos I obtained from holandas of low graduation (65º), after the special distillation in alquitaras of wines selected, healthy and balanced. Its process of elaboration and aging is characterized by a special and careful assembly of the different holandas following the traditional dynamic system of Aging of Criaderas and Soleras. It is a very elegant brandy. 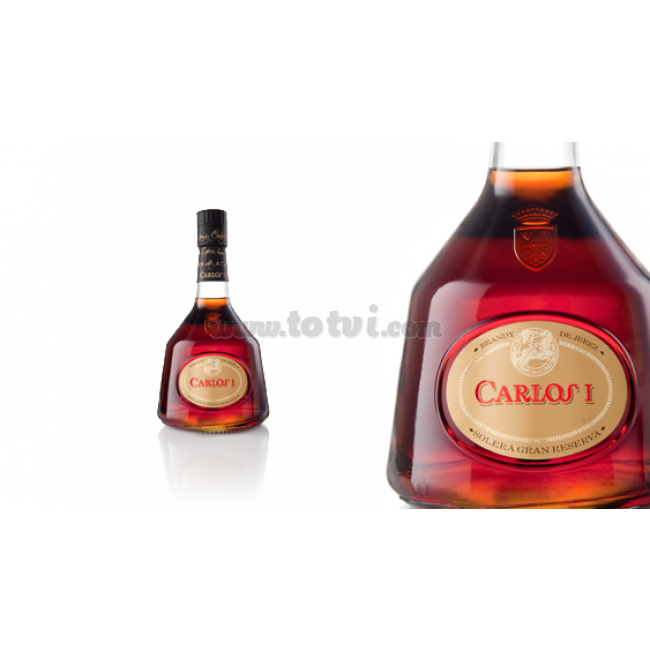 Brandy Carlos I obtained from holandas of low graduation (65º), after the special distillation in alquitaras of wines selected, healthy and balanced. Its elaboration and aging process is characterized by a special and careful assembly of the different holandas that form part of its composition and by the use in its aging of American oak barrels previously wrapped with Sherry Amontillados and Olorosos wines following the traditional dynamic system of Aging of Criaderas and Soleras. Intense amber color with golden highlights. Brandy of great aromatic intensity, very balanced, with notes of good distillate and enriched by notes of vanilla, tobacco and pastry. In the mouth it is deep, persistent and balanced, with frank retro feel. Slightly tender and very elegant.